If you’re thinking of building a new Adelaide carport for your home, chances are it will be a relatively simple project. 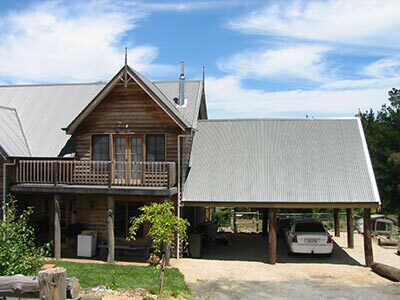 Single carport, double carport or larger, flat roof, gable, Dutch gable roof or bullnose carport. At Mr Carports we’ve built hundreds of carports and no matter what your need, we have the experience and skills to make your Adelaide carport a great investment now and into the future. But what about when you need something a little outside of the square? What do you do if – whether because of design, size, location or other aspect – you need an Adelaide carport that’s different to anything you’ve seen in your neighbourhood? Well, Mr Carports can help you too! While simple projects are certainly common and our bread and butter, complex carports are no problem. Like the double carport Mr Carports built that was wedged between a front fence and the house. The location, steep drive and space issues called for some creative thinking. The solution we provided met the homeowner’s requirements and provided parking for two cars in an attractive carport. The double carport that needed to be built over sewer and stormwater drains, with 1.9 metre deep footings. Accurate positioning of the carport to cater for the drains, while still allowing access for two cars, was a challenge that our builders were able to meet. A carport that needed to match an existing carport, from the brick piers and timber beams, right down to the stencilled concrete floor. The many carports we’ve built that had to be raised higher than the fascia of the house. By using special steel brackets, we’ve built carports that are safer and stronger, and provide more vertical space underneath the carport roof. Or the carport that required telegraph poles to be used for posts, to match the house it was built against. Whether your Adelaide carport is simple or complex, Mr Carports can build you a carport that you’ll be proud of and will meet your needs. To discuss your requirements, phone Mr Carports on 1800 557 782. Or look at our Adelaide branch page for inspiration.